Did the community organizer from Harvard Law just deliver some personal payback to the IDF commando? So it would seem. Hence, we have an Israeli leader all but castigating an American president as a backstabber and betrayer, while the White House calls Bibi a liar. The U.S. abstained, but Britain, whose Balfour Declaration of 1917 led to the Jewish state in Palestine, voted for the resolution. As did France, which allied with Israel in the Sinai-Suez campaign of 1956 to oust Egypt’s Col. Nasser, and whose Mysteries were indispensable to Israel’s victory in the Six-Day War of 1967. Vladimir Putin, who has worked with Bibi and was rewarded with Israel’s refusal to support sanctions on Russia for Crimea and Ukraine, also voted for the resolution. Egypt, whose Gen. Abdel Fattah el-Sisi was welcomed by Bibi after his coup against the Muslim Brotherhood president, and who has collaborated with Bibi against terrorists in Sinai and Gaza, also voted yes. China voted yes as did Ukraine. New Zealand and Senegal, both of which have embassies in Tel Aviv, introduced the resolution. While this changes exactly nothing on the ground in the West Bank or East Jerusalem where 600,000 Israelis now reside, it will have consequences, and few of them will be positive for Israel. The resolution will stimulate and strengthen the Boycott, Divestment, and Sanctions movement against Israel, which has broad support among U.S. college students, Bernie Sanders Democrats and the international left. If Israel does not cease expanding West Bank settlements, she could be hauled before the International Criminal Court and charged with war crimes. Already, J Street, the liberal Jewish lobby that backs a two-state solution in Palestine — and has been denounced by Donald Trump’s new envoy to Israel David Friedman as “far worse than kapos,” the Jewish guards at Nazi concentration camps — has endorsed the resolution. The successful resolution is also a reflection of eroding support for Israel at the top of the Democratic Party, as a two-term president and a presidential nominee, Secretary of State John Kerry were both behind it. Republicans are moving to exploit the opening by denouncing the resolution and the U.N. and showing solidarity with Israel. Goal: Replace the Democratic Party as the most reliable ally of Israel, and reap the rewards of a historic transfer of Jewish political allegiance. That Sen. George McGovern was seen as pro-Palestinian enabled Richard Nixon to double his Jewish support between 1968 and 1972. That Jimmy Carter was seen as cold to Israel enabled Ronald Reagan to capture more than a third of the Jewish vote in 1980, on his way to a 44-state landslide. 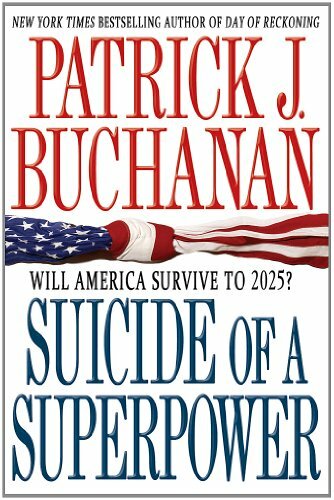 Suicide of a Superpowe... Patrick J. Buchanan Best Price: $2.74 Buy New $6.08 (as of 04:25 EDT - Details) Moreover, U.S. acquiescence in this resolution puts Bibi in a box at home. Though seen here as a hawk on the settlements issue, the right wing of Bibi’s coalition is far more hawkish, pushing for outright annexation of West Bank settlements. Others call for a repudiation of Oslo and the idea of an independent Palestinian state. If Bibi halts settlement building on the West Bank, he could cause a split in his Cabinet with rightist rivals like Naftali Bennett who seek to replace him. Here in the U.S., the U.N. resolution is seen by Democrats as a political debacle, and by many Trump Republicans as an opportunity. Sen. Chuck Schumer has denounced Obama’s refusal to veto the resolution, echoing sentiments about the world body one used to hear on America’s far right. Republican Senator Lindsey Graham says he will urge Congress to slash funding for the United Nations. If the folks over at the John Birch Society still have some of those bumper stickers — “Get the U.S. out of the U.N., and the U.N. out of the U.S.!” they might FedEx a batch over to Schumer and Graham. May have some converts here. 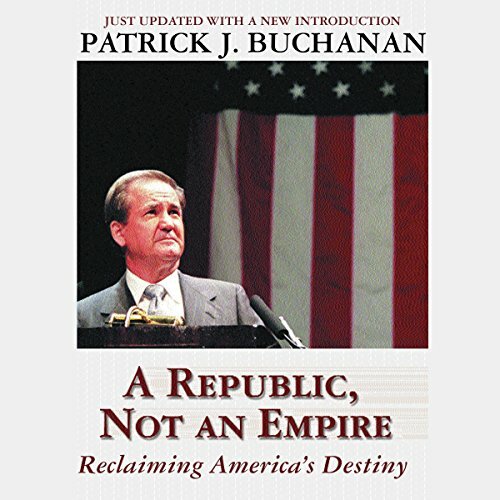 Patrick J. Buchanan is co-founder and editor of The American Conservative. He is also the author of Where the Right Went Wrong, and Churchill, Hitler, and the Unnecessary War. 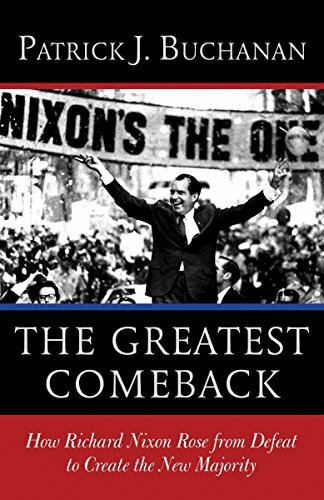 His latest book is Nixon's White House Wars: The Battles That Made and Broke a President and Divided America Forever See his website.